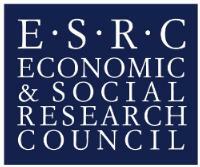 ESRC expects the successful network grant to play a strategic role in bringing together relevant participants that cross disciplinary boundaries and stakeholders (particularly those from business and industry). This cross-fertilisation will help address specific climate change questions, as well as establish and maintain appropriate links with existing ESRC and other research council investments. The Network Plus should have significant industry focus to tackle the challenges of climate change, linking to the questions posed in the Nexus 2020 and boosting private sector engagement in this area. The network will have a UK focus, considering the 25-year Environment Plan, UK Clean Growth Strategy and the Industrial Strategy. It will also be situated within the wider geopolitical context including implications around Brexit and the role of the private sector (from SMEs to multinationals) and social enterprise in realising the Sustainable Development Goals and commitments under the 2015 Paris Agreement. choice and human behaviour around climate change. As well as providing a forum to bring all relevant actors together (including social science researchers, natural and physical science researchers and other relevant stakeholders and communities), the network would map current research activity, seed-fund small projects, run thematic workshops and rapid response reviews, and build interdisciplinary capacity. It should be a source of robust evidence that informs the productivity debate and feeds into policy and practice. Collaboration with stakeholders will be key in order to co-create evidence and outputs that meet users’ needs, such as briefing papers, thematic reports, ‘rapid response’ evidence, informational events and data visualisation. commissioning of small grants through a flexible fund. The network is expected to commence in January 2019, and should work collaboratively with the newly commissioned Climate change centre. Please find further details and apply here. This call requires a letter of support from the PVC Research. Please send the draft support letter and support form by 15th May 2018. Templates for support letters and support forms can be found here. If you are interested in contributing, please contact researchstrategy@admin.cam.ac.uk.